Is Ducati planning to introduce a naked version of the Panigale V4 superbike? 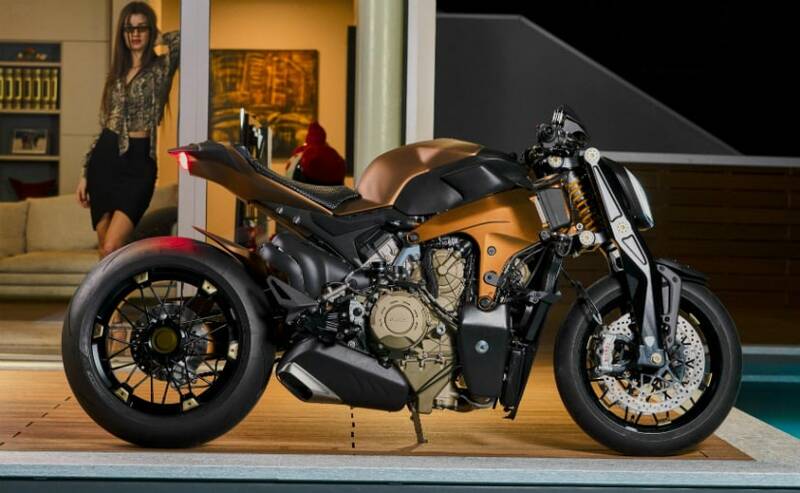 That's the question that's been doing the rounds for some time now, especially after a custom-built naked Ducati Panigale V4 was unveiled by Italian design house Officine GP. That custom naked, called the V4 Penta, isn't an official Ducati creation, but now Ducati Motor Holding's CEO Claudio Domenicali himself has hinted that a production naked version of the Panigale V4 may indeed be in the works. Domenicali didn't exactly spell out that a naked V4 is under production, but his cryptic remarks in an interview have led to speculation that a naked version of the Panigale V4 may indeed be in the making. In an interview with Swiss website Acid Moto, the Ducati CEO talked about future plans of the company, including plans of an electric model from Ducati. But Domenicali revealed little and denied reports that a supersport V4 was in the works. When asked about the possibility of a streetfighter-style model based on the Panigale V4 engine, instead of replying to the question, Domenicali replied with another question. "Do you think Ducati should produce such a bike?" he asked. When the interviewers replied in the affirmative, and said "yes" to that question, which led Domenicali to conclude that "It will therefore be made as soon as possible!" Now, this doesn't necessarily confirm whether Ducati has plans to make the V4 streetfighter, or if it's already under production. But his comments certainly are interesting, more so because just around a month ago, a custom stripped down V4 was unveiled by Officine GP. The V4 Penta as it's called, was not a Ducati commissioned build, but it certainly gives Ducati the chance to gauge market reaction, and it seems a naked V4 could see production sooner than later.